Rex Zero 1 Tactical Compact 9mm pistol. 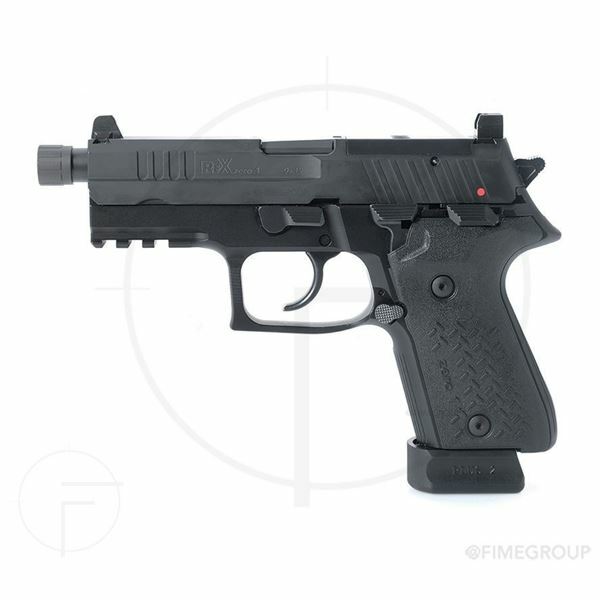 The REX Zero 1 TC (Tactical Compact) pistol continues the excellence in production, quality, and value that Arex of Slovenia has become known for since the introduction of the REX Zero 1 to the US in 2016 with FIME Group, LLC as the official importer. The Tactical Compact model has more options than ever before in the REX zero series of pistols, including the new ROR (Rex Optics Ready) platform. Adding on to the proven quality and craftsmanship of the basic features, the Tactical Compact model now offers enhancements to increase shooter experience and customization ability. POLYMER CASE, CABLE PADLOCK, OPERATING MANUAL. Arex CNC machining capabilities and quality controls are quite evident in this video tour of the plant ( https://www.youtube.com/watch?feature=player_embedded&v=9KIZFN1q_2g).